A slew of reform measures is not only expected to even out builder-buyer differences, but also build a better future. Four or five year ago, when demand and supply was at its peak, property prices were rising on a daily basis. In fact, a weekly jump of 10-15 per cent had become the new normal. The fear of losing a good deal saw investors lapping up every offer that came their way with the hope of earning double-digit returns. Cut to 2016. The property market has come to a grinding halt. Developers are sitting on unsold inventory - catering primarily to the middle and upper class segments - of about five years, new launches are few and far between, and end-users are still waiting for a price correction. This, despite the fact that India currently faces a housing shortage of 1.8 crore units, of which 98 per cent of the demand is from the economically weaker sections (EWS) and low income groups (LIG). Experts, however, believe that schemes under the Pradhan Mantri Awas Yojana could bridge the gap between supply and demand in the low income category. The sector is also expected to benefit from the government's recent reforms initiatives, including demonetisation, Real Estate (Regulation and Development) Act, 2016, Goods and Services Tax (GST) and Benami Property Act. Says Brotin Banerjee, MD and CEO, Tata Housing Development Company: "With the multiple policy and regulatory changes, 2017 will pave the way for faster growth." The government's decision to pull high currency notes of Rs 500 and Rs 1,000 out of circulation came as a rude shock to the real estate sector, striking at the roots of black money. Experts says this will bring down prices further, especially for land and luxury homes, as unaccounted money constitutes 30-50 per cent of total transactions. Says Mudassir Zaidi, Managing Partner, SNZ Essentials: Money in transit has got stuck and this will stop generation of black money for a while. It might start accumulating again, if (follow-up) measures are not taken." The affordable housing segment, however, is not likely to suffer a major blow. According to real estate services company Colliers International, price corrections will be more in cities dominated by the business community. "The market will take six to eight months to stabilise," says Manish Aggarwal, Managing Director, North Operations, India, Cushman and Wakefield. Moreover, demonetisation is also expected to bring down interest rates of housing loans. Harshil Mehta CEO, DHFL, says, "We expect home loan rates to further soften in 2017, as liquidity flush post de-monetisation will encourage banks to increase their retail portfolio. This trend will be further supported by HFCs." Over the years, complaints had been pouring in before the consumer courts against builders and real estate agents for delayed possession, incomplete paperwork and poor quality of construction. To counter such issues the Centre passed the Real Estate Regulation and Amendment Act in 2016. Once it is implemented from April 30, 2017, it is expected to bring sea changes in the otherwise unregulated industry. Under the Act, builders have to deposit 70 per cent of the collected amount in an escrow account to ensure that money is not diverted from one project to another. There will be fines and penalties if the developer does not adhere to delivery guidelines. Moreover, regulatory bodies and appellate tribunals have to be set up in each state to solve builder-buyer disputes within 120 days. Besides, promoters will not be able to change a project's design without buyers' consent, and carpet area will carry a uniform definition - a common reason for builder-buyer disputes. "Buying and selling is going to become transparent post demonetisation. People have to start transacting based on circle rates," says, Aggarwal. Circle rates are decided by the revenue departments of state governments and is the minimum value at which one can buy or sale property. But will property prices increase after the implementation of RERA? 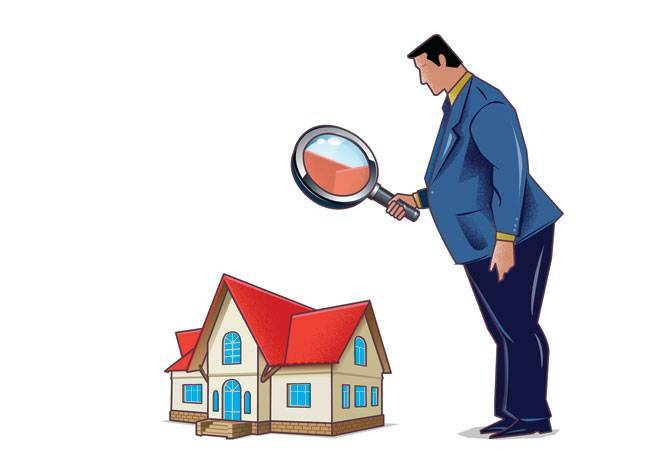 Says Pankaj Kapoor, MD, Liases Foras: "Property prices are not connected to RERA. It is determined by demand and supply in the market. Given the scenario right now, I do not think prices will see a correction after the implementation of RERA. However, margins are expected to increase because of lower cost of construction and developers will be in a position to pass the benefits to customers." Though RERA promises to bring transparency in the real estate sector, dilution of the Act at the state level is a cause for concern. A few state governments have done away with application of the Act on under-construction properties, while the Central Act clearly states it has to apply to both under-construction and new projects. "I believe the government made their intention very clear when RERA was passed, as they (state government) can only increase but not reduce provisions from here," says Kapoor. Dilution of RERA Act can make the central government intervene and correct the discrepancies. Says Uday B. Wavikar, a consumer court lawyer: "Infrastructure of RERA courts is not ready. How are they going to monitor everything is another issue. One needs to have a special cell for it. Even if a declaration has been made by a builder about the 70 per cent (in escrow account), how will the government check that companies are complying with it." The government has set a deadline of April 2017 for the implementation of GST. Under the new tax regime, all indirect taxes will be clubbed together and put under one head. It will benefit the sector by ensuring a uniform tax structure and improve tax compliance by developers. While experts say GST will have no impact on the resale market as indirect taxes are not levied in this category, under-construction properties are, however, likely to become costlier. GST will streamline taxes, enabling developers to translate these into better offerings for the consumers. "GST will have a cascading effect for the homebuyers, as developers with more margins in their hands will be able to restructure the cost of the products in favour of the consumers," says Banerjee of Tata Housing. Finally, the Benami Property Act passed by the government in November, will legitimatise the property market. Under the act the government can confiscate properties bought in the name of a person other than the actual owner. Therefore, experts believe the real estate sector should get its swagger back in 2017, bringing the Indian market in sync with global standards.